Delhi in itself is a tale of two cities. While on one side you get the taste of modern metro city with its soaring sky scrapper and never stopping metro but if you look around just a little, you will see the history of Delhi. Engraved in different museums and memorials in Delhi, lies the history of the ancient city of Delhi, which has been an epicentre of every political and cultural shift. These memorials represent a part of history - a battle, a great personality or a great kingdom. These memorials are a testament of every struggle the country has ever faced, be it the All India War Memorial, aka, India Gate. 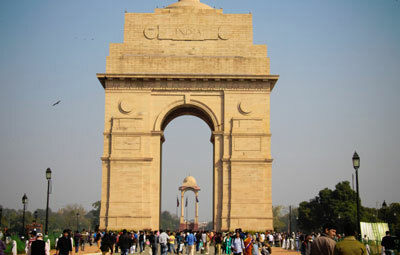 India Gate exhibits the name of every soldier who sacrificed his life during the World War 1 and Indo-Sino war. One of the most famous memorials in Delhi, Raj Ghat, is a reminder of great political thinkers and leaders who fought for our independence or betterment of the country. 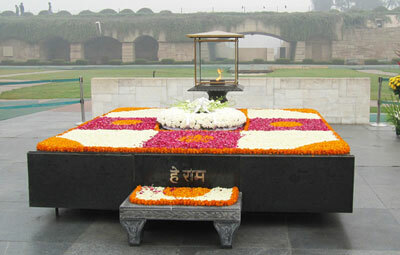 Raj Ghat is a memorial dedicated to Mahatma Gandhi. In the same complex lies the famous Vijay Ghat, a memorial dedicated to Late Lal Bahadur Shastri. If you move to Old Delhi you will various monuments dedicated to the rebellion of 1857. 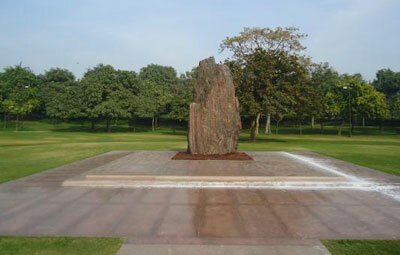 There are also other memorials like Shantivan, Shakti Sthal and Veer Bhumi. 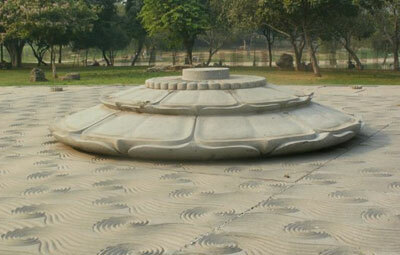 While sightseeing in Delhi, you can explore all such monuments and memorials in Delhi. 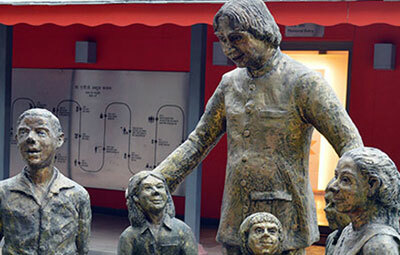 Although a fast-paced city, Delhi has its own rustic charm hidden in these memorials. These memorials are not just a reminder of people or an event but it’s a reminder of who we are and from where have we started our journey of being a global force. Visit these memorials in Delhi to experience the glory and struggle of a city, its people and culture. 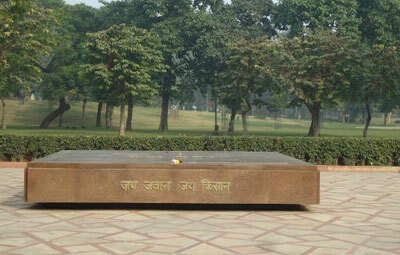 Shakti Sthal is the memorial of the former Prime Minister of India, Late Indira Gandhi. Believed to be one of the most fierce and vocal Prime Ministers of India, Indira Gandhi is still revered to be one of the most loved politicians of her era. Shakti Sthal translates to the land of power which resonates with the personality of the former Prime Minister. 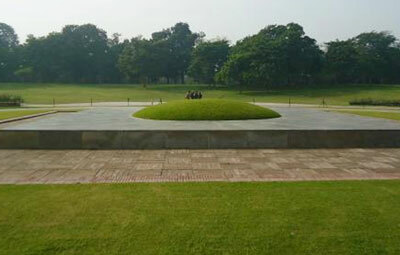 The memorial is situated in the Raj Ghat complex and can be accessible from Rajghat memorial. The first Prime Minister of India, Late Pandit Jawaharlal Nehru was the man who helped shaping India on its right course. After gaining independence from British, Nehru was the man who steered the future of the nation. A humble man who preferred peace over war, Shanti Vana is the picture-perfect memorial for him. Shanti Vana translates to a quiet forest, which is the perfect depiction of the great man himself. The backbone of the independent India, the mind of the Indian Government - these are few descriptions of the former Prime Minister of India, Lal Bahadur Shastri. A man who lead India to the victory of 1965 Indo-Pak war, the name Vijay Ghat (Victory platform) is perfect for him. Also known as the Iron Man of India, Shastri is attributed for shaping the country to its current form, being the largest successful democracy in the world.